UPDATE: It looks like this report may indeed be untrue, according to the Athletic’s Ken Rosenthal. Former Red Sox closer Craig Kimbrel may be willing to sit out the 2019 season if he does not receive a contract offer close to his ‘perceived value’, reports The Athletic’s Jim Bowden. According to multiple GMs Craig Kimbrel asking price has still not come down and sources close to Kimbrel think he will consider sitting out the year if he doesn’t get close to his perceived value. Back at the Baseball Winter Meetings this past December, it was reported that Kimbrel was seeking a contract in the six-year and $100 million range, which would be a record-setting deal for a closer. Touted by his agent David Meter as the ‘best-closer of all-time’, the 30-year-old Kimbrel posted a 2.74 ERA while converting 42 saves in 63 relief appearances and 62.1 innings pitched with Boston in 2018. According to FanGraphs, Kimbrel has been the second most valuable reliever in the American League since joining Boston prior to the start of the 2016 season. His case for being one of the more dominant closers of this generation is certainly there, so it’s understandable why the Alabama native and his camp are trying to squeeze the most value out of his next contract as possible. Still, sitting out an entire season would be an extreme measure that does not need to be taken. 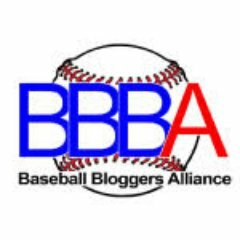 ERA+ was down, FIP was up, WHIP was up, H/9 was up, HR/9 was up, SO/9 was down, and maybe most importantly, BB/9 increased by nearly three from 2017 to 2018. Now, it’s only a small sample size, but this could be a sign of things to come. A six-year contract for a relief pitcher over the age of 30 was probably never going to happen given the current state of Major League Baseball. If Kimbrel and his camp can accept that, then it would be intriguing to see if Dave Dombrowski and the Red Sox could get the flamethrower back on a one-year deal that closely resembles a qualifying offer in the range of $17-$18 million. That might be a pipe dream at this point, but it is a better option than seeing one of the more electric arms in this game sitting out a year of his prime just to recoup his value for next offseason. Philadelphia Phillies and RHP David Robertson Agree to Two-Year Deal. The Philadelphia Phillies have reached an agreement with free agent reliever David Robertson on a two-year, $23 million dollar contract, per the team’s official Twitter account. As the tweet reads, the contract also includes a club option worth approximately $12 million for a potential third year. Robertson, 33, had spent the past season and a half with the Yankees before signing his deal with Philadelphia on Thursday. Back in November, it was reported that the right-hander was looking to sign on with a club near his home in Rhode Island, thus the Red Sox were viewed as legitimate suitors for Robertson’s services. Instead, the University of Alabama alum more than likely chose the team that offered him the most money in the Phillies, while also not straying off too far from the Ocean State. Known for providing quality work out of the bullpen in a variety of roles throughout his 11-year major league career, Robertson posted a 3.23 ERA and 11.8 K/9 over 69 relief appearances and 69.2 innings pitched with New York in 2018. He also recorded five saves. With this news, one would have to assume that Philadelphia is out of the running for free agent closer Craig Kimbrel after adding Robertson to the back-end of the bullpen. Whether or not that increases the chances of a reunion between the Red Sox and the seven-time All-Star remains to be seen, but President of Baseball Operations Dave Dombrowski has essentially kept that door open for the time being. And as we near closer and closer to spring training, Kimbrel’s price is sure to go down. The Red Sox have also remained interest in free agents Adam Ottavino and Zach Britton. If I were to guess on where each would be going, I would venture to say one signs with Boston, while the other winds up in the Bronx, best case scenario. Author Brendan CampbellPosted on January 3, 2019 Categories Baseball, Sports, UncategorizedTags adam ottavino, Baseball, boston, craig kimbrel, dave dombrowski, free agency, hot stove, mlb, new york, offseason, philadelphia, phillies, red sox, yankees, zach brittonLeave a comment on Philadelphia Phillies and RHP David Robertson Agree to Two-Year Deal. Envisioning a Scenario Where Craig Kimbrel Returns to the #RedSox. According to several media outlets, Craig Kimbrel is reportedly seeking a six-year contract worth up to $100 million in free agency this winter. That would be a record deal for a closer, one fit for, “the best closer of all time,” according to Kimbrel’s agent David Meter. Seven weeks after winning the World Series, the Red Sox find themselves in need of some help out of the bullpen in 2019, even more so now with Joe Kelly reportedly inking a three-year deal with the Los Angeles Dodgers. The market for Kimbrel remains to be seen thus far into the offseason. The Philadelphia Phillies seem like the ideal suitor based on their need for a closer and their willingness to spend big, but nothing has formulated on that front to this point outside of some speculation. If the Phillies were not to splurge on the flame-throwing right-hander and pursue an alternative, then that could ultimately give the Red Sox a chance to retain the services of their three-time All-Star. Use JD Martinez as a prime example in this case. Prior to signing with Boston this past February, the Miami native was reportedly seeking a mega-deal in free agency for months. Granted, Martinez still got paid, but the terms agreed upon were more team friendly than initially thought. So, with that in mind, let’s say Kimbrel remains a free agent through the winter months, holding out in hopes of receiving a hefty contract offer. Red Sox President of Baseball Operations Dave Dombrowski has already stated that the club will wait the reliever market out. Given the fact that Dombrowski has already doled out $68 million to RHP Nathan Eovaldi earlier in the month, a reunion with Kimbrel for a steep price seems unlikely now, but things could change once Spring Training begins to loom. Having been with the club since 2016, Kimbrel, albeit shaky at times, has posted quality numbers in Boston and has maintained his status as one of the more elite relievers in all of baseball. If the demand for the Alabama native is not as hyped as initially thought, then perhaps Craig Kimbrel will be taking the mound in a Red Sox uniform once again in 2019. 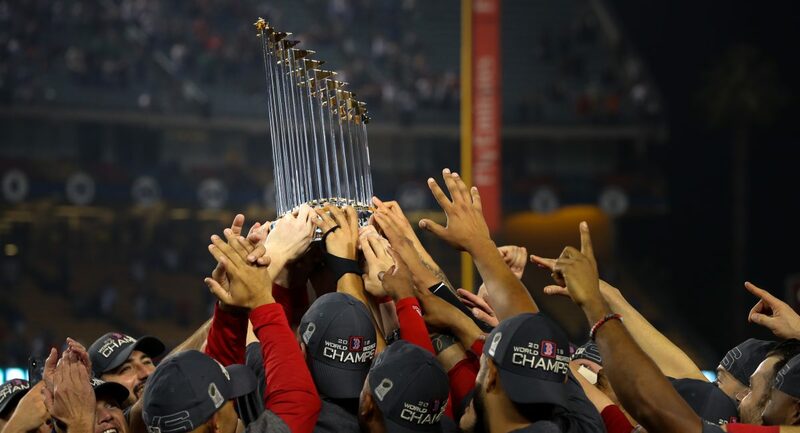 Author Brendan CampbellPosted on December 17, 2018 Categories Baseball, Sports, UncategorizedTags Baseball, boston, craig kimbrel, dave dombrowski, free agency, hot stove, mlb, offseason, red sox, winter meetingsLeave a comment on Envisioning a Scenario Where Craig Kimbrel Returns to the #RedSox. Craig Kimbrel Rejects $17.9 Million Qualifying Offer from #RedSox. Red Sox President of Baseball Operations Dave Dombrowski announced on Monday that Craig Kimbrel has officially rejected his qualifying offer, making him a free agent. Per Dave Dombrowski, Craig Kimbrel officially rejected his qualifying offer. No surprise. He remains eligible to sign with the #RedSox. But if he signs with another team, Sox receive a draft pick. This news may not come as a surprise to some, but it does leave the World Series champions without a closer, for now. If Kimbrel does choose to sign elsewhere this winter, such as with the Atlanta Braves or Philadelphia Phillies, that particular club will owe Boston a compensatory pick in next year’s draft, which is set to land somewhere after the fourth round. The Red Sox extended the QO with a value of $17.9 million to Kimbrel on November 2nd, giving the seven-time All-Star 10 days to either accept or reject. With this rejection, Kimbrel will more than likely become one of the highest paid relievers in all of baseball, joining the likes of Dodgers closer Kenley Jansen and Yankees ninth-inning man Aroldis Chapman, whose current deals have a combined worth of $166 million over 10 total years, per Spotrac. Over the course of the GM meetings in Carlsbad, Calif. this past week, Kimbrel’s agent, David Meter, pitched his client as, “the best closer of all-time,” so you can expect the Alabama native to seek out a hefty pay-day in the coming weeks. Given the very real possibility the Red Sox decide to not commit that much to their closer for the past three seasons, we could be looking at Matt Barnes, or even Ryan Brasier as ninth inning options in 2019. That remains to be seen, as there is still a slight possibility that the Red Sox retain the services of Kimbrel to remain their closer. But, given the way relief pitching appears to be trending, it would not be surprising if Dombrowski and/or Alex Cora would prefer a closer who could come on and pitch multiple innings in order to lock up wins. In his three-year tenure with Boston, the 30-year-old Kimbrel seemed to struggle with this task regularly, as well as securing saves in tight, late-game situations at times. If this is it for Kimbrel in a Red Sox uniform, it was certainly a memorable run. Three seasons, three All-Star team selections, an elite 2017, and a World Series championship in 2018. Author Brendan CampbellPosted on November 12, 2018 Categories Baseball, Sports, UncategorizedTags Baseball, boston, craig kimbrel, free agency, mlb, qualifying offer, red soxLeave a comment on Craig Kimbrel Rejects $17.9 Million Qualifying Offer from #RedSox. #RedSox Extend Qualifying Offer of $17.9 Million to Craig Kimbrel. On Friday, NBC Sports Boston’s Evan Drellich reported that the Red Sox had extended a qualifying offer to Craig Kimbrel. The qualifying offer, which has a value of $17.9 million, also has an expiration date, as the right-handed Kimbrel now has 10 days or either accept or decline it. Regardless of the decision the flame throwing closer makes, this moves seems to be a win-win for the Red Sox. Either they get their All-Star reliever back for another season on a rather expensive deal, or, if Kimbrel declines the QO and chooses to sign elsewhere, the Red Sox will receive a compensatory pick in next year’s MLB draft from that club. With that statistic in mind, I’m going to go ahead and Say Kimbrel will turn down the QO and opt for a long-term deal with a team willing to splurge on a closer. Whether or not the Red Sox are willing to spend that much on a ninth-inning man has yet to be determined. But, from what I have gathered recently, and sound more and more likely that the club likes their internal options to take over that spot, such as Matt Barnes or Ryan Brasier. In his third and potential final season with Boston, Kimbrel notched 42 saves to go along with a 2.74 ERA and 96 strikeouts over 62.1 innings pitched. He also made his third consecutive All-Star team and became a World Series champion for the first time in his career. MLB free agency is set to begin this weekend. Stay tuned. Author Brendan CampbellPosted on November 2, 2018 Categories Baseball, Sports, UncategorizedTags Baseball, boston, craig kimbrel, free agency, hot stove, mlb, qualifying offer, red soxLeave a comment on #RedSox Extend Qualifying Offer of $17.9 Million to Craig Kimbrel.